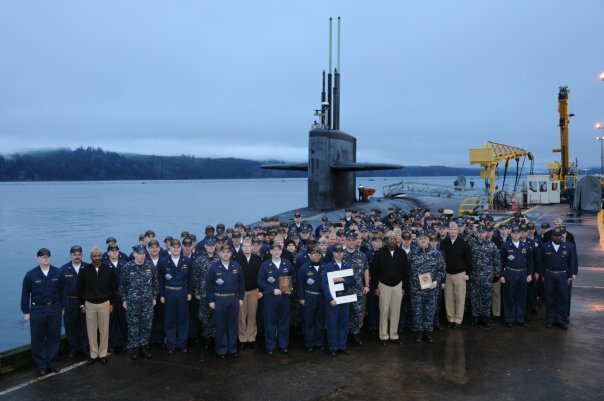 The crew of the USS Kentucky (SSBN 737) (Blue/Gold) stands proudly with their recently awarded Battle “E” Feb. 8. The Battle Effectiveness award is presented to the ship which shows sustained and superior excellence over the other ships in its class. 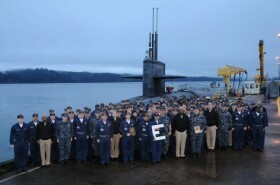 BANGOR, WA – Commander Submarine Squadron 17 (CSS 17) awarded the 2009 Battle Efficiency, or Battle “E,” award to the USS Kentucky (SSBN 737) Feb. 8 at Naval Base Kitsap-Bangor. The coveted Battle “E” is awarded annually to one ship in each class that maintains the greatest condition of readiness to perform their wartime responsibilities. 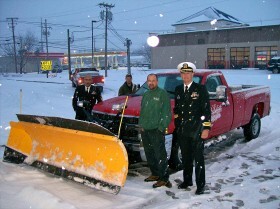 It recognizes sustained superior performance of the crew and the ship. The competition is conducted to strengthen individual command performance, overall force readiness, and to recognize outstanding performance. The competition was tough; Kentucky was selected from six other units assigned to CSS 17. 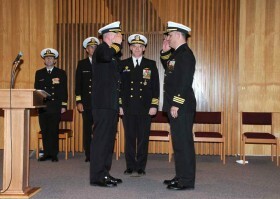 Naval Base Kitsap-Bangor – Today, Cmdr. 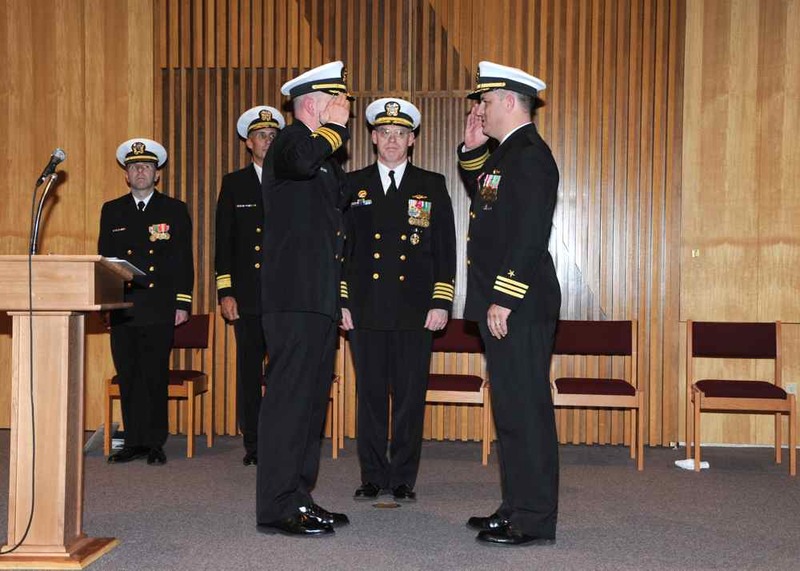 Joseph A. Nosse relieved Cmdr. Ben Pearson III as commanding officer of USS Kentucky’s (SSBN 737) Gold Crew. We would like to thank Cmdr. Person for his outstanding service as commanding officer, which saw the boat earn its second Battle ‘E’ as well a number of other awards. We wish him well in his future endeavors. At the same time, we would like to welcome aboard Cmdr. Nosse into the Kentucky family.